Paying Homage To Our Father For Bringing Us Through October. Gracious God, we thank You for the month of October, we exalt and adore You for Your divine benevolence upon us and towards us through the month of October both in our going out and coming in, we praise and worship You in Jesus Name. Amen, Amen and Amen. O Lord, Great is thy faithfulness, morning by morning through this month, it is Your mercy we see, we thank You for forgiving us for our shortcomings throughout this month, we magnify You for it is Your mercy that renders every works of our enemies useless and uneffective and we praise You for it is by Your mercy that we will able to do greater things and shine in the light of Your glory throughout this month, we worship You as we pray in Jesus Name. Amen, Amen and Amen. God of Abundance, we lift Your Name above every other names for unleashing Your abundance in an immeasurable manner like never before in every areas of our lives throughout this month to Your glory, Father, “if we are to choose in our next world between You and other gods, we will choose You over them in a million times, for in You we have all in all and in other gods, it is full of scarcity, wickedness and self imprisonment” we are more than proud of having You as our Heavenly Father and we reverence You for giving us the privilege to be Your Own, we pray in Jesus Name. Amen, Amen and Amen. Our Proctector, we thank You for saving us from every snares of the fowler, we adore You for protecting us from every evil manipulations of the enemies, we thank You for preserving us from every forms of sickness, the enemies are attacking the world with, we praise You for opening our eyes to every lies of the enemies and to embrace Your truth, we magnify You for vindicating us from every foms of accident throughout this month and for bring us to the end of this month in one piece, we say may all glory, honour, adoration, exaltation and thanksgiving be ascribed unto Your Holy Name in Jesus Name. Amen, Amen, Amen, Amen, Amen, Amen and Amen. 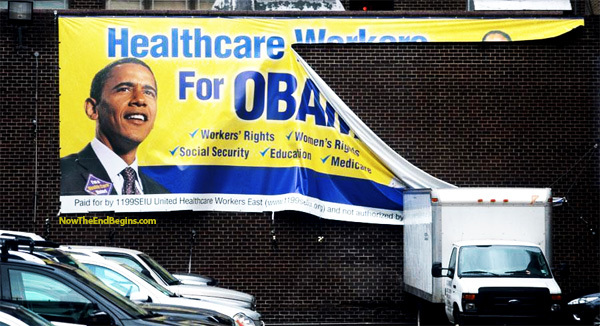 Obamacare Has 1,500,000 Health Insurance Policy Cancellations With Millions More Coming. One could also argue that these premium increases are nothing more than tax increases to pay for ObamaCare. So that is another broken promise. Finally, how many of the millions losing the health care plan they like will lose their doctor in the process? That is yet another broken promise. source – Breitbart. Police raid MASSOB office in Ebonyi. Police in Ebonyi State have raided the office of Movement for Actualization of the Sovereign State of Biafra (MASSOB) and carted away some items in the office. It was gathered that mobile policemen in three Hilux vans stormed the regional office of MASSOB at No. 9, Hatchery Road in Abakaliki at about noon at the weekend. No arrest was made because there was nobody in the office at the time of the raid. The Abakaliki Regional Administrator of MASSOB, Mr. Osita Obiajulu, told Daily Sun that policemen invaded their office when they were not in the office and allegedly made away with N170, 000 they kept in the table locker, and removed their signpost and flag. He said the mobile policemen came looking for mebers of the MOSSOB and when they realized that their targets were not around they broke into the office through the window. “We are calling on President Goodluck Jonathan and inspector general of police to intervene in the matter and urge them to return our items they took from our office including money. We are a peaceful group, we have not attacked or harassed anybody since we started this movement. We have constitutional right to belong to any association, we don’t have gun, we don’t have knife but every time, police keep arresting, intimidating and molesting our members. Police want to push us to the wall, we are peaceful and we will remain peaceful but police should stop harassing MASSOB members,” he stated. But in a swift reaction, the Police Public Relations Officer (PPRO), Mr. Sylvester Igbo, a deputy superintendent (DSP), who confirmed the incident, denied collection of money from the office of MASSOB by the police as alleged by the MASSOB members.Igbo stated that members of MASSOB ran away when police came to arrest them for hoisting Biafran flag, an act of treason, which according to him, was a threat to the law abiding citizens of the state. However, the Director of Information of MASSOB, Mr. Uchenna Madu, condemned the attack on the office of MASSOB in Abakaliki, saying the activities, operations and existence for the past 14 years were purely on non-violence and does not amount to any threat to the society. Boko Haram possesses superior weapons –Yobe gov. Yobe State Governor, Alhaji Ibrahim Gaidam, yesterday said that members of the Boko Haram insurgents, who attacked Damaturu, the state capital last week were in possession of superior weapons than the Nigerian Army. This was even as the Federal Government yesterday said that it would intensify its collaboration with the Governments of Niger and Cameroun in the patrol of their borders to curb the activities of the sect. Gaidam, who spoke after inspecting military and police formations destroyed in Damaturu last Thursday during an attack by the insurgents, challenged the Federal Government to deploy more troops and advanced military and communications hardware to be able to suppress the terrorists. He said the provision of superior weapons would help to effectively combat insurgents’ attack on the state. “From personal observations, the insurgents used superior weapons and equipment in Thursday’s attack. “So, the Federal Government must provide highcalibre arms and weaponry to succeed in the fight against terrorism. “Until the country’s security outfit is fully equipped with more superior arms, equipment and reinforced manpower, we may have slim chances of winning the fight against terrorism,” Gaidam said. The governor also observed that inadequate intelligence report contributed to the massive onslaught by insurgents on the state capital. “If we had 24-hour surveillance and intelligence gathering by the security agents on ground, some of this dastardly incident would have been averted,” he said. He said the Federal Government should deploy more security personnel to the state and equip them with more sophisticated weapons. “The Federal Government should provide additional and more advanced military and communications hardware to enable the security forces on the ground to respond more effectively to any security breaches,” Gaidam said. The governor praised the security agents for their ability to repel the attacks and urged them to continue to dedicate themselves to the security of life and property in the state. “Government and Nigerians must see the problem of insurgency as a national problem, and not as a problem of Yobe and Borno States,” he advised. Gaidam announced a Yobe government assistance of N1 million each to the families of security operatives who were killed in the attack and N500, 000 for those injured. Col. Abdullahi Aliyu, Commander of the Special Operation Battalion in Damaturu, said the insurgents attacked eight locations in a coordinated operation. He said 30 insurgents were killed, while various arms, ammunitions and vehicles were recovered from the attackers. State Commissioner of Police, Alhaji Sanusi Rufai, said the insurgents attacked the Mobile Police Base with armoured vehicle and burnt the armoury at the base. “They could not gain access into the armoury, they then set it ablaze, burning all arms in the armoury” he said. In Abuja, the Minister of State for Foreign Affairs II, Nurudeen Muhammed, speaking at a press briefing at the sixth meeting of the Board of National Boundary Commission, NBC, said that joint patrol of the borders with neighbouring Niger and Cameroun has become paramount to ensure peace and stability. Mohammed maintained that the joint patrol would ensure that Nigeria’s borders are not porous. Also at the briefing, the Director-General of NBC, Ahmed Muhammed, disclosed that the commission has put in place all that was needed to make Nigeria and Cameroun work together to ensure security and proper resettlement of the people of Bakassi. According to him, the government has released funds on two occasions for the resettlement exercise. Minister of Interior, Comrade Abba Moro, also said that in order to check frequent boundary crises among states, local governments and communities in the country, the Federal Government would take steps to properly demarcate Nigeria’s internal boundaries. The General Officer Commanding, GOC, 2 Division of the Nigerian Army, Major-General Ahmed Jubrin, said that for the military to effectively fight insurgence, it must engage its personnel in contemporary security challenges. According to him, terrorism is mainly the contemporary challenges facing the nation, which requires the military to be up and doing to be able to face the task of fighting it. He made this known at a training workshop organised at the 22 Armored Brigade, Sobi, Ilorin, He described the training as a routine programme, which takes place every year to prepare soldiers on exactly what he is expected of them during operations. General Jubrin said the training bothered on skills at arms, which involves training them on how to handle weapons. While speaking, the Commander, 22 Armoured Brigade, Sobi Cantonment, Brigadier-General Idris Alkali, expressed the view that at the end of the training, the participants are going to be better prepared to undertake any task of facing contemporary challenges. He also urged them to derive maximum benefit from the activities in order to apply it when attacked. Meanwhile, President Goodluck Jonathan yesterday in Jerusalem pledged that his administration would continue to actively combat the menace of terrorism in partnership with all peace-loving countries of the world. Speaking at a meeting with President Shimon Peres of Israel, Jonathan said Nigeria would welcome enhanced cooperation and assistance from Israel for its ongoing efforts to end terrorist attacks and incursions in parts of the country. According to him, combating the menace of terrorism remains a challenge that must addressed in partnership with all peace loving countries and peoples of the world. “I seek the cooperation of your country to confront the security threat from terrorist groups that my country is now facing. There is no doubt that Israel has had decades of experience in combating terrorism. Nigeria can benefit tremendously from your experience in this area,” Jonathan told the Israeli President. Jonathan noted the growing economic relations between Nigeria and Israel and called for greater collaboration between them in other sectors, saying that his administration would also welcome the greater deployment of Israel’s renowned expertise in furtherance of Nigeria’s agenda for national transformation in areas such as healthcare, agriculture, electric power supply and the management of water resources. In his remarks at the meeting, Peres said that he was delighted and privileged to have had the opportunity of hosting the first Nigerian President to visit the state of Israel. National confab proceedings end in free-for-all. Political party thugs hired by politicians and parties yesterday clashed during the proceedings of the Presidential Advisory Committee on National Dialogue/Conference meeting in Benin City, Edo State bringing the meeting to an abrupt end. Members of the committee and participants took to their heels in the ensued melee. The beginning of the end of the meeting that held at the rebuilt Imaguero College on Sapele Road started when the committee made frantic but unsuccessful attempts to stop Edo State Governor, Comrade Adams Oshiomhole and others from making their contributions to the debate. governor, who started with a complain about the lack of agenda for the meeting. Oshiomhole began by stating his objection to the spending of huge public funds on a wasteful venture such as the dialogue while insisting that during the tenure of President Olusegun Obasanjo, money was spent on a similar conference at the end of which nothing came out. “I will be surprised if anything changes. Sincerely, I have no business to deceive or mislead anyone. I believe that the outcome of this conference will not be different from that of other conferences we have had in the past,” he said. But as soon as Oshiomhole made his statement, committee member, Nyiam rose and shouted the governor down while he was still making his contribution before he was joined by some thugs who attempted to stop the governor too. While the governor insisted on concluding his remarks, he however yielded on the floor when the thugs were getting violent. Before the proceedings, the governor, had at a courtesy visit on him in his office by members of the Committee led by Senator Femi Okurounmu, said he had no faith in the whole process. Oshiomhole said: “All I owe Nigeria now is to speak my mind. It could be error of my head but certainly not of my heart. As much as I wish you well, I just want to say that I have no faith in this process and I do not think it was necessary at all. “I am unable to find any basis to give me some illusion that this exercise will not be different from the others. He added: “I do not think that more than 100 years when we have set aside billions of naira to celebrate centenary, celebrating the fact of our amalgamation of the North and Southern Nigeria, and we have lived together as one country for over a 100 years, and we have gone through independence, we have been free for 53 years and we are coming back to ask the question, how could we be there. “I think Nigeria needs to address very serious issues. When I see eminent Nigerians discussing this issue, I am sure they know that Nigeria’s problem is not this politics of sharing which the national dialogue is all about, who is getting what, who has this natural endowment, who should do this or not do this. For me, this is the act of perfecting poverty. “The real challenge is getting Nigeria back to production. The real challenge is creating industrial base and this cannot be resolved through conferences. We have moved from parliamentary system in our own wisdom to the presidential system. We have test-run it and it was aborted by the military and it has reincarnated in the present form. “Nigeria does need a serious reflection about how to return to those core values that made Nigeria work before. Those healthy competition between the governments, visit the whole question of attitude and unless that changes, I do not see how any dialogue can work.” Oshiomhole regretted that many conferences have been held in the country without any tangible result. “I was discussing with somebody last week and he noted that this is the 11th conference and I ask what 10 conferences could not do, how would the 11th one do it? Why do we think we can continue doing the same thing the same old way and think that this time the outcome would be different?” he asked. Earlier, Senator Okurounmu said they were in Benin as part of their visit to the six geo-political zones to get their input as regards the content of the agenda, the duration, choice of delegation and legal framework. Meanwhile, the Advisory Committee has condemned the disruption of its proceedings. A statement signed by Okurounmu said the committee took exception to the “unruly conduct” one of its members who joined the crowd in shouting down the governor. “We want to emphasise that the committee will listen to all shades of opinion in the areas of its mandate and will not henceforth condone the kind of unacceptable behaviour we witnessed in Benin City on Monday,” he said. FG seeks Israel’s support to fight terrorism. President Goodluck Jonathan on Monday sought the support of the Israeli government in order to fight terrorism occasioned by the activities of the fundamental Islamic sect, Boko Haram. According to a statement by his Special Adviser on Media and Publicity, Dr. Reuben Abati, the President made the appeal during a meeting with President Shimon Peres of Israel in Jerusalem during his ongoing Christian pilgrimage to the country. Jonathan was quoted as reiterating his promise to combat the menace of terrorism in partnership with all peace-loving countries of the world. He said, “Combating the menace of terrorism is a challenge that we must address in partnership with all peace loving countries and peoples of the world. “I seek the cooperation of your country to confront the security threat from terrorist groups that my country is now facing. Acknowledging the growing economic relations between Nigeria and Israel, Jonathan reportedly called for greater collaboration between the two countries in other sectors. He said his administration would also welcome the greater deployment of Israel’s renowned expertise in furtherance of Nigeria’s agenda for national transformation in areas such as healthcare, agriculture, power supply and the management of water resources. He assured Peres that his administration would continue to encourage the expansion of trade, economic and cultural relations between Nigeria and Israel, adding that the signing of a Bilateral Air Services Agreement between the two countries would boost such relations. In his remarks at the meeting, Peres was quoted as saying that he was delighted and privileged to have had the opportunity of hosting the first Nigerian President to visit the state of Israel. Others include our request for the removal of Tukur as our party National Chairman knowing his flawed election as our party Chairman, and ending the impunity in Adamawa State, among other demands that will put PDP in a strong position as a political party but for reasons not too clear to some of us failed to receive the blessing of Mr. President. The meeting mandated its mobilisation/contact committee to explore other options available to the members of the faction should the dialogue with President Jonathan fails to yield any positive result for its future political activity. Eze added that the committee was expected also to liaise with the new five other PDP governors and other leaders, who he said had indicated interest to join the group and to submit their report during the next meeting of the caucus that will hold in a week’s time. On the deployment of Police to the vicinity of the Sokoto Governor’s Lodge, Abuja to scuttle the caucus meeting on Sunday evening, Eze said it was unfortunate that the police who were unable to find a solution to the menace of Boko Haram, kidnapping and other security challenges of the country could be cheaply used to harass innocent and unarmed civilians. While reacting to the allegation against him, Tukur said he did not set up any parallel state executive in any state, adding that the party appointed caretaker committees in states where the tenure of their substantive officers had expired. Tukur, who spoke through his Media Adviser, Oliver Okpala, said the aggrieved governors were not aware that the executives that were removed in the affected states wrote to the national headquarters of the party to inform it that their tenure had expired.